I've got a fun DIY Hair Tutorial for you guys today! 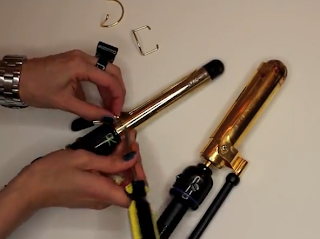 Get, ready, I'm gonna show you guys how to make your own CLIP-LESS CURLING IRON from your ol' regular curling irons. *these babies, and I mean clipless curling irons sell for, anywhere from $25 up to $175! *Less damage to your poor old split ends, since they aren't the first thing wrapped around and being heated against the iron the longest. *No creases or lines, or weird bumps from the where the clip was holding your hair. 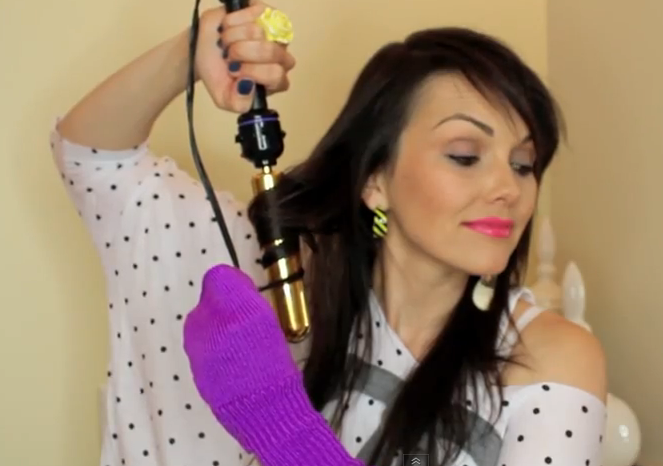 A weird bend in your hair gets heated into place, just like the curl can. *You can get great volume in your hair with the clipless curling iron, because you can get closer to the scalp for just lift and volume, without getting a weird clip mark again! * You can get perfect beachy beach waves in your hair, with the clipless iron. The key to beach waves is just getting textured waves, not curled ends of your hair, like a regular curling iron will do. CAN YOU PUT IT BACK TOGETHER? YEP! 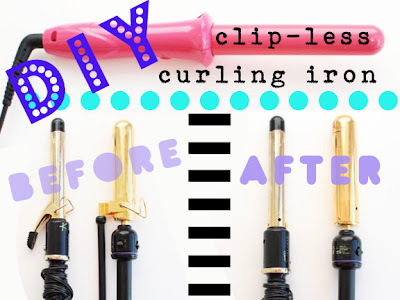 You can return your "curling wand"back to it's clipless curling iron self, in less than a minute, it will be good as new, or old! Where's you get that hot pink curling wand? What lipstick do you have on? Force of Love (from the new Chenman Collection from MAC) I like it better than the Nicki Minaj lipstick....! Where'd you get your shirt? From Zhovak- she makes the most awesome shirts- They are not only super cute, but super figure-flattering- I've been rockin' them since I got them! No one beat me to buying her new graffiti hear shirt! Blue Rebel by Chanel, I don't ever buy fancy polishes like this, but it was a present, and I have to say, I love it! It was one of 3 special colors for Fashion's Night Out at Fashion Week in NYC- on eof my friends went to a Chanel event and gave it to me! Yay for nice friends. 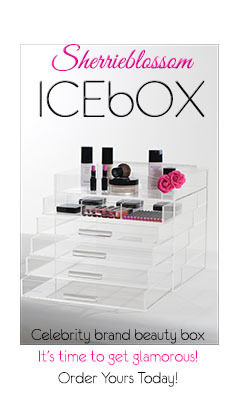 If anyone knows a cheaper, dupe, post below! Where'd you get your earrings? I got the striped one at Forever 21, a long time ago and the vintage looking one, I got at the Melrose Trading Post, it's a one-of-a-kind earring. Soooo cute and funny! I was scared you were gonna burn your yips! ( Yes i said yips) Hahaaa! Love it. BTW I never really saw how those curling irons with the metal spiral on the barrel helped anyone. Maybe u know.?. kandee please!! i need to talk to you about a possible video tutorial idea! i have seen alot of your tutorials i love how you do them you so good at it and your so professional your my favorite! I just noticed that i see alot of the obviously achieveable makeup styles you do and i love them they have helped me alot. But for more fun and exciting extremely different looks which is always what im looking for i wanted to see you do some looks that arent that common please get back at me i have a good idea!! please!! 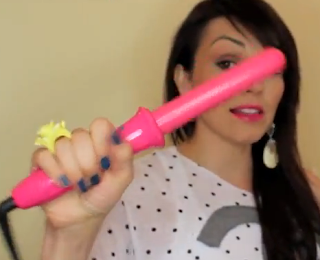 Kandee I wish u would do more vids u crack me up & get me into a good mood! Pls make more beauty & goofy vids plz!